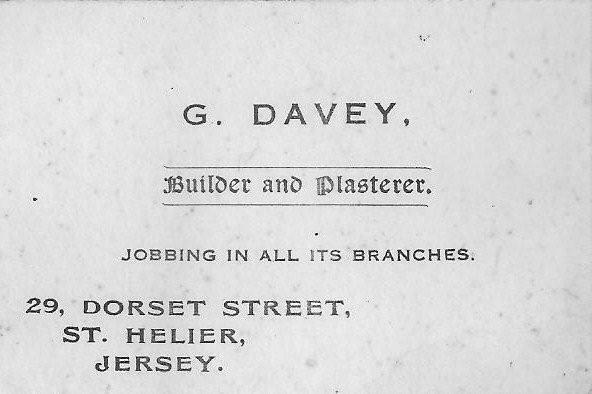 In researching my family tree throughout the Channel Islands I have come across a variety of jobs, occupations and professions. I have not always been too sure of what each of these areas entails. So I have started this page in order to provide my own research into each area and add any contributions added by viewers of these pages. A List of Occupations – Click here to find a long list of occupations names, titles and definitions from the ancestry.com website. I stumbled on your web site this morning while trying to see if there is anything about my Jersey born grandfather’s army life during WW1 as I know he was in the trenches and had been gassed. It is Anzac Day today and prompted me to have another look. However onto this page about occupations. My Gt Gt Grandfather was variously down as “Labourer at Iron Foundry” (1871), “Labourer” (1881), “Head/Coal stoker” 1891, “Foundry labourer” (1901). His son was an “Iron Founder” (1891)and I have found out from his grandson that I traced to the USA that he worked at 13-15 Burrard St. I have yet to find more about an iron foundry there. Great work – congratulations. It is hard to do this research from Oz!! Thanks for your comments Kate. I will see what i can find out about 13-15 Burrard St. and any Iron Foundry’s that may have been in the island. Interesting blog. I particularly enjoyed your section on occupations as I have fisherman, sailors, ag.labs and stonemasons in my family too. Would also like to thank your for having visited my blog this week and left a like.